Animal Enclosures: Animal Ark receives requests almost daily to take in disadvantaged wildlife. We can only house new residents when there is space available, so we are always seeking funds for new and improved habitats for orphaned, injured and otherwise non-releasable wildlife. 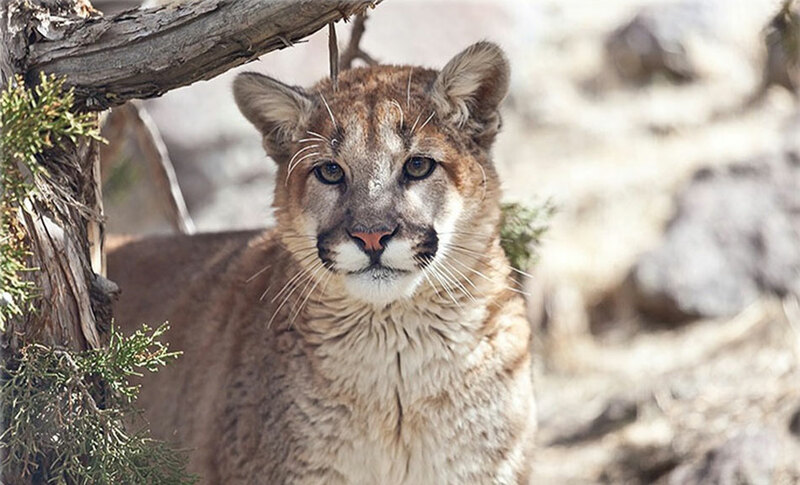 Currently, Animal Ark is constructing a new Orphan Black Bear Rehabilitation Center, a new Feline Enclosure, and rebuilding a Desert Tortoise Enclosure, each of which is in need of $1,000-$5,000 to be completed. Mental Well-being: Animals in enclosures need physical and mental stimulation. This stimulation comes in the form of toys, and activities that change the animals’ environments and create novel problems to solve. For example, each fall Animal Ark conducts Harvest Festivals during which each animal receives a pumpkin filled with their favorite treats. We also install swimming ponds and water falls that animals can swim in and interact with. The pond designated for our jaguar needs a new pump and pond liner. Veterinary Care: Anyone with a pet knows how much a single visit to the vet can cost. Now imagine an appointment for a tiger! Animal Ark takes a holistic approach to animal care, closely monitoring diet to support natural healing. When necessary, we call on a number of local veterinarians for assistance. We always need funds to cover these unpredictable expenses. As an example, when we took Khan to the dentist, it cost nearly $5,000! Animal Ark, a wildlife sanctuary, inspires environmental stewardship through wildlife education. We house orphaned, injured, and otherwise non-releasable wildlife, mostly from North America. Many of our animals would have been euthanized had Animal Ark been unable to offer a home. When we take in an animal, we are making a commitment for life. We fully care for our wild residents and provide a comfortable, naturalistic home for their lives. Living at Animal Ark, these residents are ambassadors and are able to teach guests and schoolchildren all about our natural surroundings and the wild residents thereof.